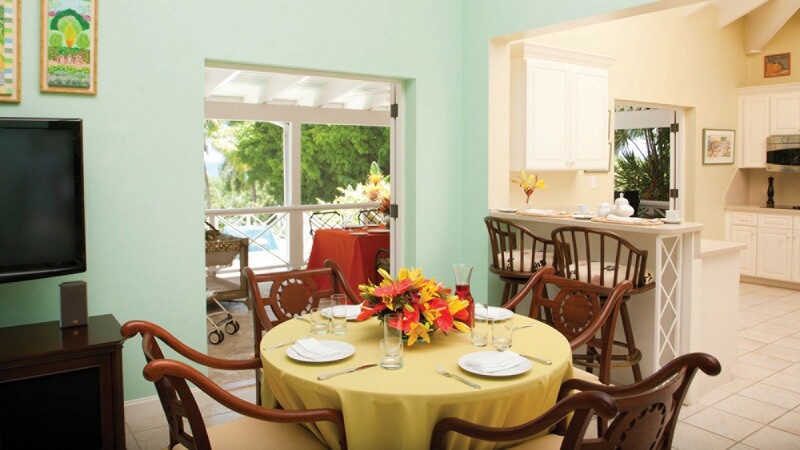 Sitting on a scenic ridge that takes in western views of the Caribbean and the nearby peak of Mt. 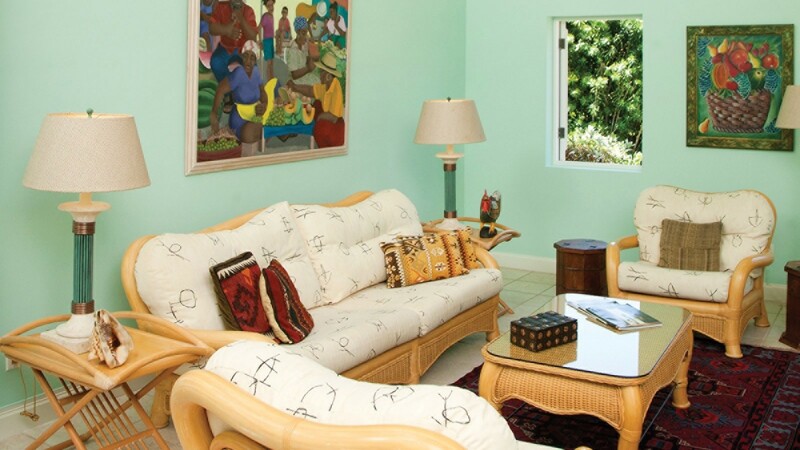 Nevis, the Four Seasons - Villa Carib Queen is a two-bedroom gem that has a tremendous number of amenities. 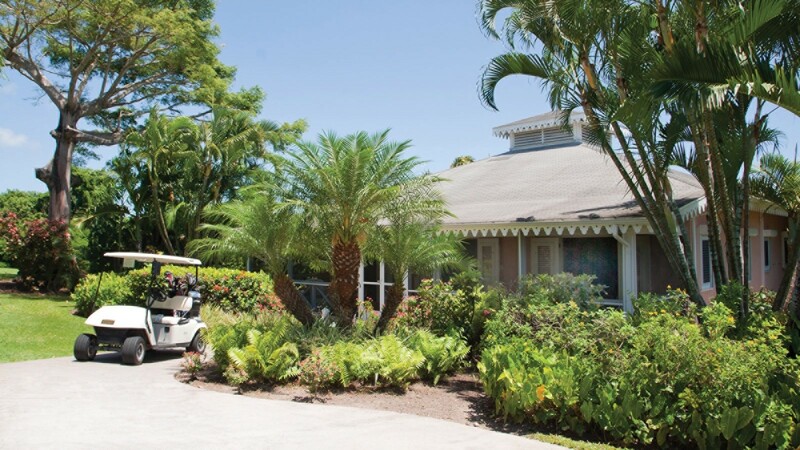 Not only are there many wonderful features at the villa itself, but it is also located in the heart of a premium resort. 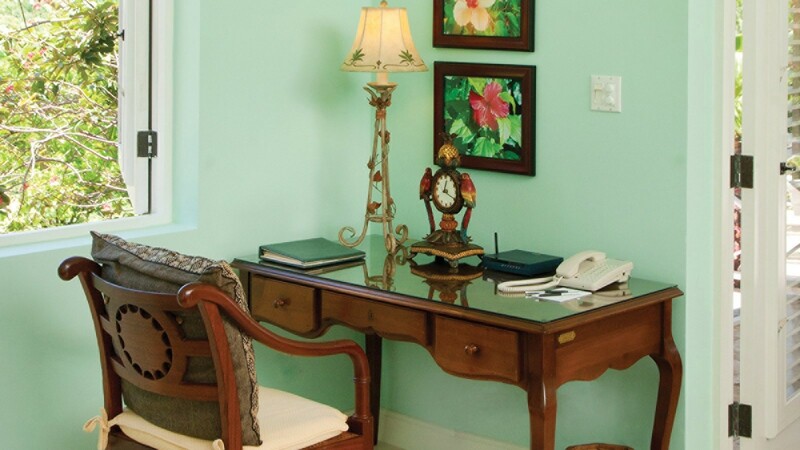 When you are done enjoying the resort's services and amenities each day, you will be able to relax in the privacy and luxury of your villa. 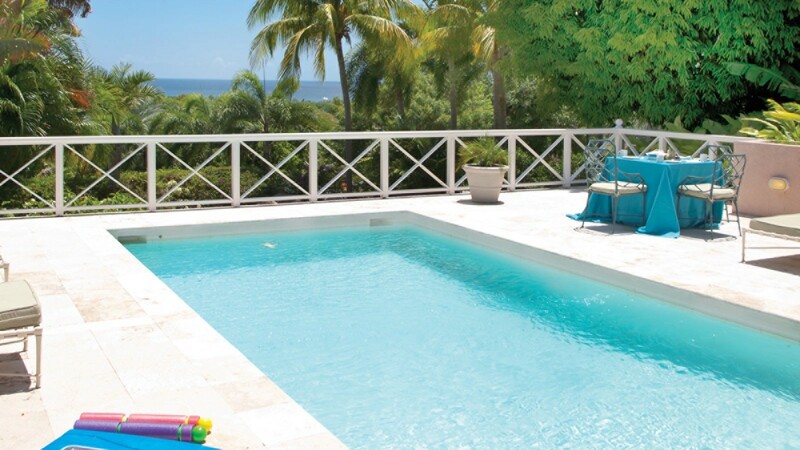 You can begin with a dip in your private pool. 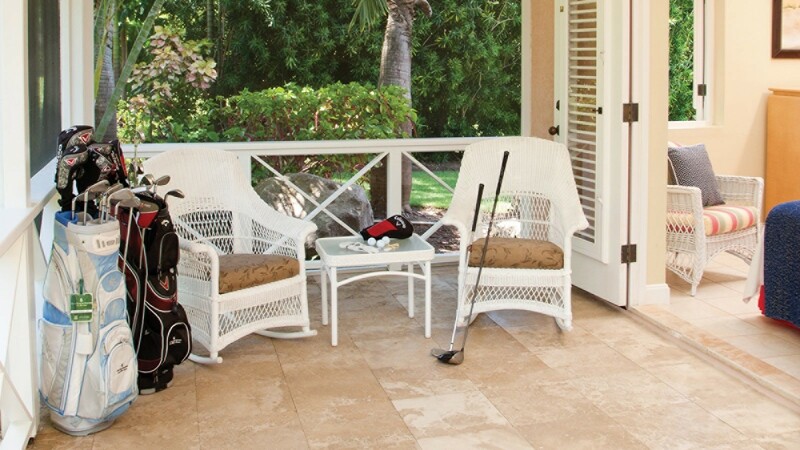 Surrounded by a stone terrace that is framed by mature tropical gardens, it is also surrounded by a wonderful, screened in verandah. 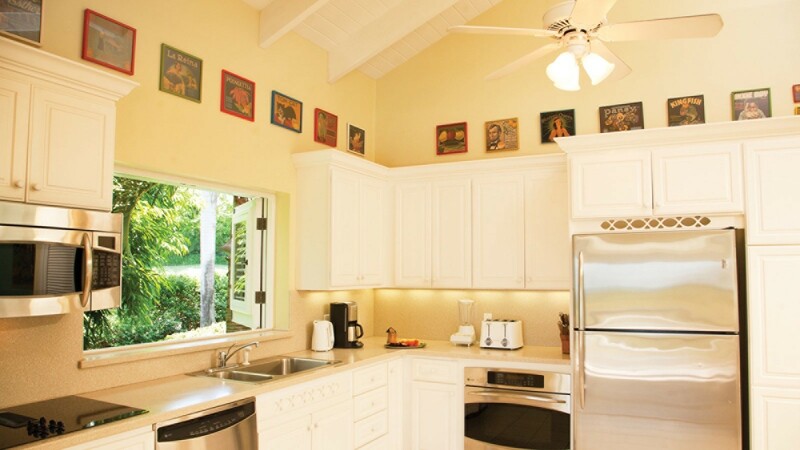 Furnished in a classic island style, it offers you al fresco dining and lounging. 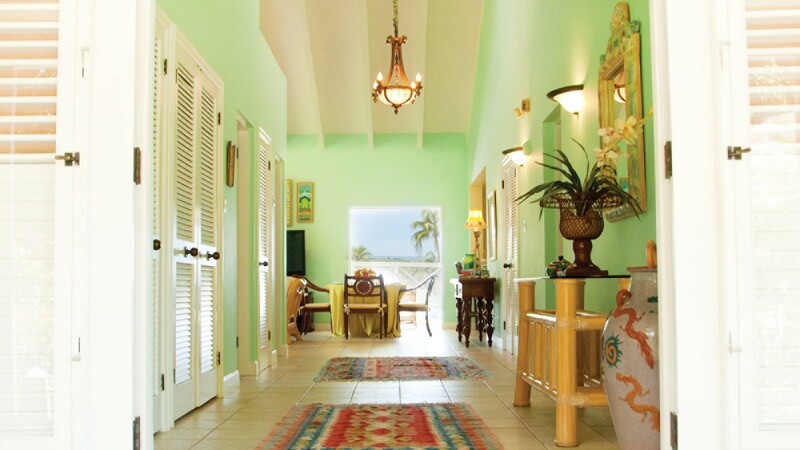 Inside, a bold palette of pale lime and island orange creates a wonderfully dynamic space. 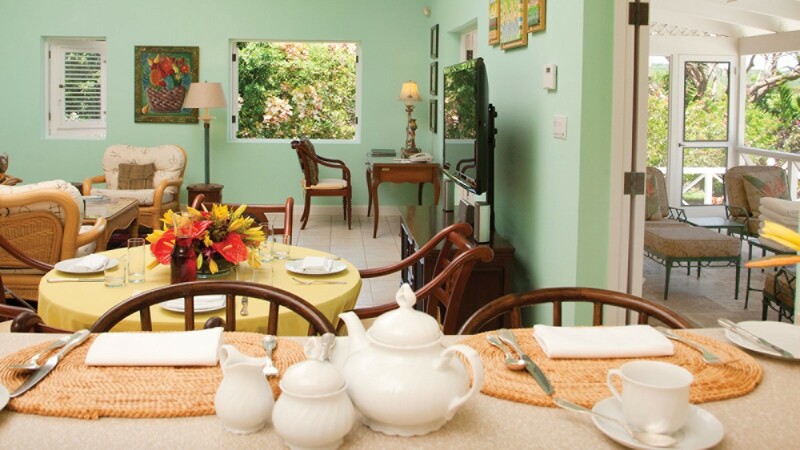 There is a living room done in rattan and cream furnishings with local art dotting the walls, a formal dining room and the gorgeous kitchen. The two bedrooms open to the garden or verandahs and feature a king bed or two twins, and both offer private ensuite baths. 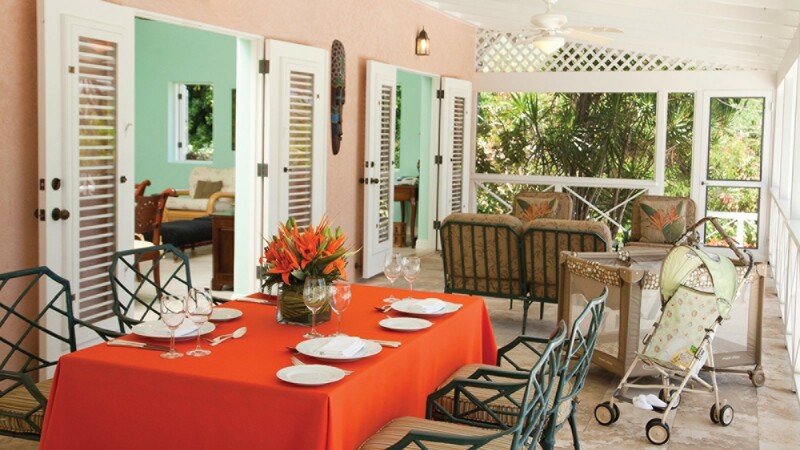 Ideal for a small family or set of friends, or even as a romantic retreat for two, the Four Seasons - Villa Carib Queen is a perfect blend of privacy, luxury and comfort. 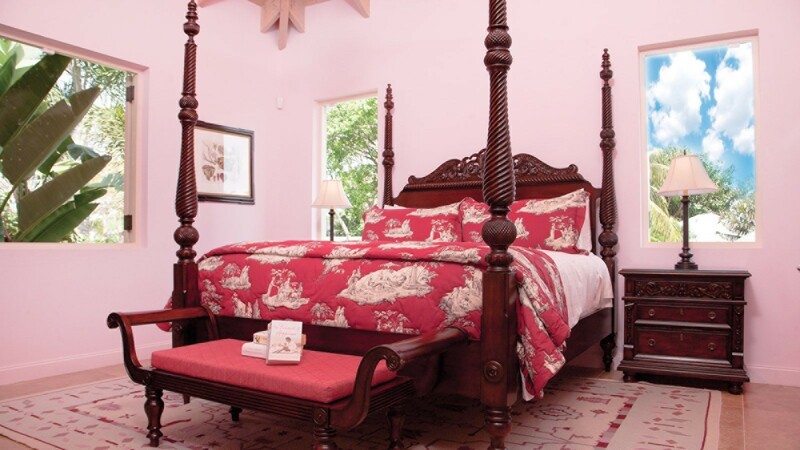 Bedroom 1: Bedroom with a king-size bed, private veranda and en-suite bathroom with bathtub, shower, vanity and WC. 2 guests maximum. Bedroom 2: Bedroom with two single beds and en-suite bathroom with shower, vanity and WC. 2 guests maximum.